Former president and the 'Missile Man of India' Dr. A.P.J. Abdul Kalam is all set to make his debut in Bollywood. 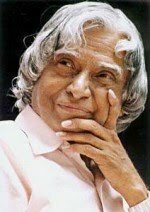 Kalam will make a guest appearance in the movie titled I Am Kalam. Gulshan Grover who will also star in the movie said that the Dr. Kalam has given his nod to the movie and has also done a cameo appearance in the movie. The movie is part of a India-French collaboration with participation from Unicef. The story of the movie revolves around a young boy who gets inspired after watching a speech given by Kalam. He then dreams of taking responsibility and changing the world around him. The film is being directed by Madhav Panda. Tags: apj abdul kalam, madhav panda, i am kalam, gulshan grover.